The Alfred P. Sloan Foundation believes that a carefully reasoned and systematic understanding of the forces of nature and society, when applied inventively and wisely, can lead to a better world for all. Who Was Alfred P. Sloan Jr.? Alfred Pritchard Sloan Jr. was born in New Haven, Connecticut, May 23, 1875, the first of five children of Alfred Pritchard Sloan Sr. and Katherine Mead Sloan. His father, a machinist by training, was then a partner in a small company importing coffee and tea. In 1885 the family moved to Brooklyn, where it was particularly active in the Methodist Church. (Young Alfred’s maternal grandfather was a Methodist minister.) Alfred Jr. excelled as a student both in the public schools and at Brooklyn Polytechnic Institute where he completed the college-preparatory course. After some delay in being admitted to the Massachusetts Institute of Technology (which considered him too young when he first applied), he matriculated in 1892 and took a degree in electrical engineering in three years as the youngest member of his graduating class. Mr. Sloan began his career as a draftsman in a small machine shop, the Hyatt Roller Bearing Company of Newark, New Jersey. At his urging, Hyatt was soon producing new antifriction bearings for automobiles. In 1898 he married Irene Jackson of Roxbury, Massachusetts. The next year, at age 24, he became the president of Hyatt, where he supervised all aspects of the company’s business. Hyatt bearings became a standard in the automobile industry, and the company grew rapidly under his leadership. In 1916 the Hyatt Roller Bearing Company, together with a number of other manufacturers of automobile accessories, merged with the United Motors Corporation, of which Mr. Sloan became president. Two years later that company became part of the General Motors Corporation (itself established in 1908 as the General Motors Company), and Mr. Sloan was named Vice President in Charge of Accessories and a member of the Executive Committee. Mr. Sloan was elected President of General Motors in 1923, succeeding Pierre S. du Pont, who said of him on that occasion: “The greater part of the successful development of the Corporation’s operations and the building of a strong manufacturing and sales organization is due to Mr. Sloan. His election to the presidency is a natural and well-merited recognition of his untiring and able efforts and successful achievement.” Mr. Sloan had developed by then his system of disciplined, professional management that provided for decentralized operations with coordinated centralized policy control. Applying it to General Motors, he set the corporation on its course of industrial leadership. The next 23 years, with Mr. Sloan as Chief Executive Officer, were years of enormous expansion for General Motors and of a steady increase in its share of the automobile market. 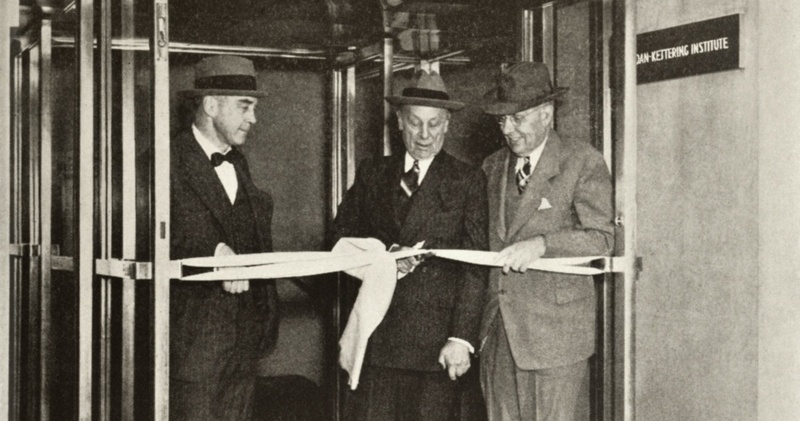 In 1937, Mr. Sloan was elected Chairman of the Board of General Motors. He continued as Chief Executive Officer until 1946. When he resigned from the chairmanship in 1956, the General Motors Board said of him: “The Board of Directors has acceded to Mr. Sloan’s wish to retire as Chairman. He has served the Corporation long and magnificently. His analysis and grasp of the problems of corporate management, his great vision and rare good judgement, laid the solid foundation which has made possible the growth and progress of General Motors over the years.” Mr. Sloan was then named Honorary Chairman of the Board, a title he retained until his death on February 17, 1966. For many years, he had devoted the largest share of his time and energy to philanthropic activities, both as a private donor to many causes and organizations and through the Alfred P. Sloan Foundation, which he established in 1934. Mr. Sloan, a realist as well as a humanist and philanthropist, looked upon the Foundation as an extension of his own life and work. Although he recognized the inevitability of change that might dictate a different course, he expected that the Foundation would “continue as an operating facility indefinitely in the future…to represent my accomplishments in this life.” His accomplishments during his lifetime were of the highest order, and in themselves provide the most dramatic and lasting tribute to his extraordinary talent. Through the Foundation, his accomplishments have been extended and expanded.